14 Oct - 4 Dec. 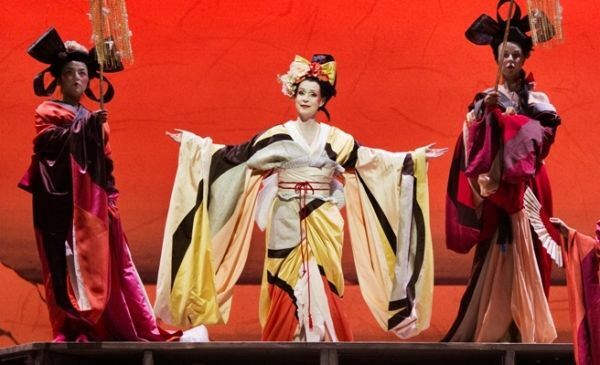 The opera house in Copenhagen presents a lavish production of the well-loved classic, Madame Butterfly. Puccini's tragic opera is set in the Japanese city of Nagasaki and tells the moving story of a young geisha known as Butterfly who falls in love with Pinkerton, an American naval officer. Despite warnings against marrying him, Butterfly sacrifices everything for Pinkerton, with tragic results. American Steven Sloane conducts an international team of singers including Italian Maria Luigia Borsi, who performs in the title role, alongside a cast that numbers Chinese singer Hui He and Mexican tenor Héctor Sandoval. Address Copenhagen Opera House, Ekvipagemestervej 10, tel. +4533696966. Copenhagen Opera House, Ekvipagemestervej 10, tel. +4533696966.